I had the opportunity to interview Mayra Aixa Villar, instructional designer and thought leader in the mobile learning space. 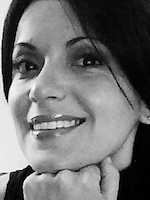 Mayra has authored articles for ASTD and Learning Solutions Magazine and writes frequently on her personal blog. If you are interested in where mobile learning is headed, or in how mobile learning is different from “regular eLearning,” read on! How did you get started in instructional design, and what sparked your interest in mobile? In 2009, as I was writing my M.A. thesis on Applied Linguistics, I focused my research on a field called Computer Assisted Language Learning. My research findings on how to develop effective educational applications led me to complete an internship at the United Nations Headquarters in 2010. My tasks consisted in assessing online as well as instructor-led courses and to carry out an in-depth research on training course design and training needs. It was at that moment when I fell in love with eLearning and instructional design. A year later, a sense of curiosity and eagerness to leverage the latest technology in order to design enhanced learning solutions sparked my interest in the potential of mobile for educational purposes. What tips would you give a learning designer new to designing for mobile devices? In my opinion, it is crucial to observe how the target audience behaves in the context of performance. When designing for mobile, the ability to understand the environment, the habits, the problems and the needs of the learners is far more critical than in any other training initiative. All these factors heavily influence on the activities and goals that learners seek to accomplish though mobile devices and therefore, they will determine the relevance and usefulness of mobile learning solutions. When is a learning experience really mobile learning… and when is it just eLearning on a different device? As Scott McCormick stated in his recent presentation at mLearnCon 2013, 10 Essentials for Successful Mobile Learning Implementation, re-imagination is the first and the most important aspect to consider. When we take advantage of mobile devices built-in capabilities to enhance learning and stop talking about “clicks” to start exploring how touch can free up our interactions with content, we can make our design utterly mobile. I´d also like to add that a really mobile learning experience should integrate seamlessly into the task the learners are trying to perform and help them attain their goals without all the hurdles and constraints that traditional eLearning or instructor-led training usually pose. What are some of the biggest reasons to transition from desktop eLearning to mobile? Many people talk about stats that refer to the massive adoption of mobile devices, the impact of devices in our daily life and so on. While I think these facts are very important because they portray the habits and expectations we need to cater for, I truly believe that the biggest reasons to transition from desktop to mobile lay or should lay on the type of experiences we can create and how we can meaningfully respond to learners real needs in order to help them successfully accomplish a task within their performance context. At Bottom-Line Performance, we often refer the uptake of mobile learning tools and uptake as slow and steady rather than a sudden spike. What’s your take? I agree. I see that many companies are too attached to old systems and solutions, which is completely understandable as they have invested time and resources in their development. There are also many misconceptions around mobile. Some may think that “mobile learning is too complex and expensive to be implemented” while others prefer designing their own solutions and end up with a bunch of PPTs delivered through mobile devices. This last option is fine as long as it helps learners at the moment of need. Otherwise, why would you want learners to go over 20+ slides of irrelevant content when they just need to know the specific function of key components or equipment? Many companies want to transition to mobile, but still require eLearning courses to work on desktop and mobile. What are some ways to make the best of this situation? I have been working for an American company in the health sector during the last couple of months. At the beginning, they asked me to create eLearning courses without mentioning mobile delivery at all. But, I decided to optimize all the courses so they can also be consumed from the iPad even though that was not part of the client´s requirements. This has helped me not only to introduce new approaches to design and information organization but also to start conversations about the need of envisioning mobile learning solutions. Even though this is not the ideal, unique mobile experiences I described in previous answers, it is a good starting point to pave the way for a future multi-channel training strategy. Organizations invest lots of time and money in deciding which mobile device to deploy across their workforce. What are some best practices for evaluating which device to choose? Every mobile solution is different. Therefore, a thorough analysis of the convergence of factors and priorities can better guide all your decisions. As I said in one of my posts, the three key elements that we need to consider are the learner, the need(s) and the context. If we concentrate on which mobile device to deploy from the very beginning, we will not be designing a solution from a holistic, more effective approach. In other words, we will not be designing for a dynamic learner with specific needs in a specific context. We need to stop thinking about the device because this may lead to unnecessary constraints and also, ineffectiveness. What role will adoption of the Experience API play in the adoption of mobile learning? In words of Megan Bowe, now with xAPI, we can focus on different activities and track different interactions between the technology and the user. Designers are not constrained to create only courses any more. Now, xAPI allows for a comprehensive view of activities across all the systems. Also, as a linguist, I see great potential in application of Natural Language Parsing techniques in order to extract information from the types of statements generated by this wide range of activities, which, in turn, are delivered to a LRS. This information could help me define behavioral patterns of users and possible influences from the environment and therefore, design more learner-centric experiences. What do the popular authoring tools (Storyline, Captivate, Lectora, etc) need to do to improve their mobile learning capabilities? Tools are just tools. It is our approach to design what needs improvement, adaptation and evolution. Some tools are better suited for some projects while fall short for others. Again, everything depends on what needs and priorities you have identified. I could argue that rapid authoring tools cannot offer the benefits of responsive design to deploy content across multiple screens, or they don´t take full advantage of HTML5 technologies. But, what if those approaches are not the best solutions for a specific project? For this reason, I am always exploring new tools that can help me accomplish every project´s unique goals and requirements in the most efficient way. What formats and interactions work best on mobile devices and why? Video is one of the most ubiquitous media formats, and this makes it extremely practical to deliver relevant content at the right moment and virtually on any device. We can also add layers of interactivity that allow for quick search and exploration or we can integrate social interactions. In this way, we could leverage mobile users´ typical behaviors too. I have also seen great examples of mobile applications which make use of AR and 3D simulations. These are ideas I am particularly interested in and I am planning to research in the near future. As regards interactions, simple touch-based gestures that allow the user to quickly perform a task and attain his/her goals will definitely work best. Are certain types of content better suited for mobile devices than others? I think that performance-support solutions and jobs aids have become the “wild cards” when talking about mobile learning initiatives. However, I think that rather than content types, there are interactions and ways of presenting information which are better suited for mobile devices. In fact, any type of information could be delivered through mobile devices as long as it is mobile-enabled content and relevant for the end-user. What are you to now? Any big projects? Aside from developing eLearning courses and testing platforms and applications, I have been appointed by a local Scientific and Technological Center to be part of a research project in the field of Computational Linguistics. My first task is to design and develop an application aimed at assisting university students and researchers in the processes of grammar writing and text generation. The project involves a web-based as well as a mobile component. So, in spite of its complexity, I am highly motivated to start and also, to contribute to the advancement of mobile learning from my side of the world! Many thanks for reaching out to me and allowing me to share my thoughts about mLearning. I truly believe in the potential of mobile to enhance learning experiences and it´s been a pleasure talking to you and expressing some of my ideas here. Great article, Steve. I’ve known Mayra for a few years now and she’s one of the first people we look to for mobile learning help and resources.